Billy Eugene Roberts was born November 7, 1934 in Fostoria, Texas and went to his Heavenly Home on March 26, 2019 at the age of 84. Billy served his country in the US Army from 1953-1956 as a paratrooper in the 82nd Airborne Division. Billy was preceded in death by his parents, Jackson Roberts and Cora Whitmire Roberts; brother, J. Douglas Roberts. 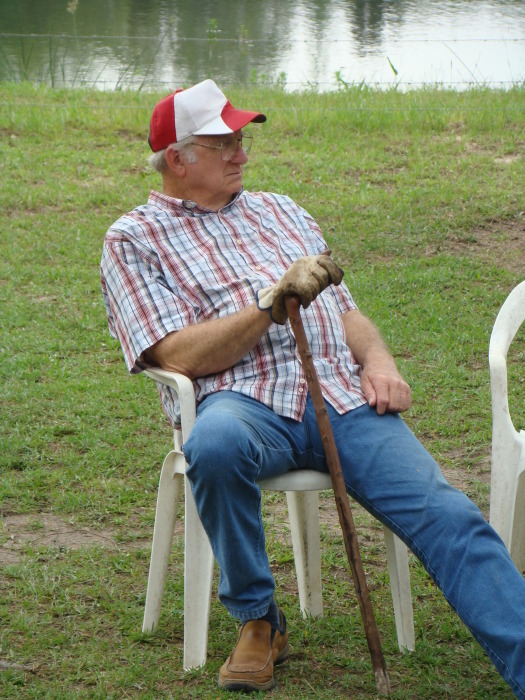 Billy is survived by his loving wife of 61 years, Paula “Judy” Roberts; sons, Tommy Roberts and wife Karla and Tobin Roberts; daughter, Paula Curtis and husband Brian; sister, Lucille Shirey; grandchildren: Joshua Roberts, Emilie Roberts, Haylie Roberts, Genevieve Roberts, Anabeth Roberts, Elias Roberts, Sharla Curtis, Isaac Curtis, Judah Curtis and Lillian Curtis; great grandchildren: Ty Stippel, Audrey Roberts, Colby Roberts and Roman Kaley. A memorial service to celebrate the life of Billy Eugene Roberts is scheduled for Saturday, April 6, 2019 at Neal Funeral Home at 11am with Pastor Chuck Smith officiating.